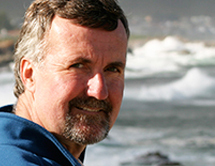 Steve Gaines is Dean at the Bren School of Environmental Science and Management at UC Santa Barbara. Steve is a pioneer in the field of sustainable fisheries management, where he has led research efforts to do what’s considered impossible - improve both the ecological and economic performance of fisheries. His work in building effective marine reserves, addressing the challenges of exotic species, and analyzing climate change impacts have proven vitally important to the health of our blue planet. Equally valuable is his work building scalable solutions through partnerships among researchers, industry, non-profit groups and governments and the role he’s played in mentoring of the next generation of marine scientists.